Constant online access to your reports & information. This report enhances the interviewing process. Many job applicants today are very skilled at adapting and masking behavior to get a job. 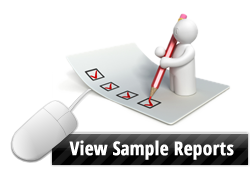 This report allows you to look at the real behavior of the applicant, and allows you to select either a sales or general report. Ideal for current staff. This report enables employees and managers to learn more about each other in 15 minutes than they could working together for an entire year. It is used successfully to get new employees off to a fast start, revitalize present employees, improve communication and morale and build sound employee-manager relationships. Contact us to request assessment price list.